The Eclips 4400 features 4 totally independent and identical power outputs which are powered 100 watts each. A total power package of 400 watts. The Eclips 4400 can charge or discharge up to 4 x 15 NiCd/NiMH cells or 4 x 6S Lithium cell batterypacks simultaneously. 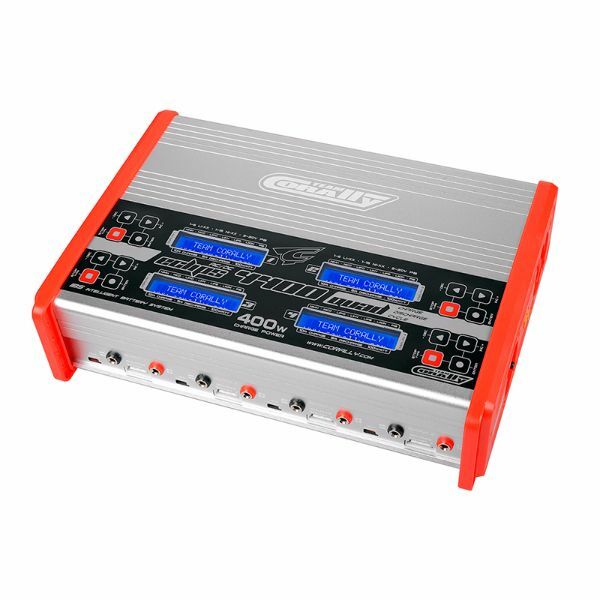 The charger has 4 individual cell voltage balancer at each output. The charger can be used continuously due to the 4 fan cooling system and the internal sensor for controlling fan speed. The Eclips 4400 features internal cell balancers, high contrast LCD displays and important warning and safety functions.